Sometimes the things you come to love the best are things you used to hate. My introduction to paprika was the flavorless sort that cafeteria ladies dumped on smelly fish, presumably to get it to look appetizing if you could get past the odor. 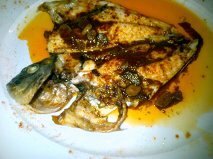 My latest taste of paprika on fish was pure delight: Dorade fresh from the Mediterranean cooked gently in garlic studded Spanish olive oil and sprinkled with spicy hot paprika. Simple, elemental, delicious. The fact that it was consumed at an excellent seaside restaurant in Mallorca (right behind us, a table of people who appeared to be the crew of one of the King’s Cup Regatta ships) didn’t hurt. The irony of this dish is that it really wasn’t pretty at all. In fact, the sprinkles of paprika actually made it look quite messy, and unappealing, but that really didn’t matter after the first bite. An import to the Old World from Latin America, dried red peppers are closely associated with the great cuisines of Central Europe. None of the paprikash dishes we identify with Hungarian cooking existed before the capsicums were introduced by Spanish and other explorers/plunderers, and it took a while for these plants to be shared throughout Europe and for locals, such as the Hungarians, to learn how well they grew in their farms, and what a fantastic flavor source they were when ripened, dried, and ground. 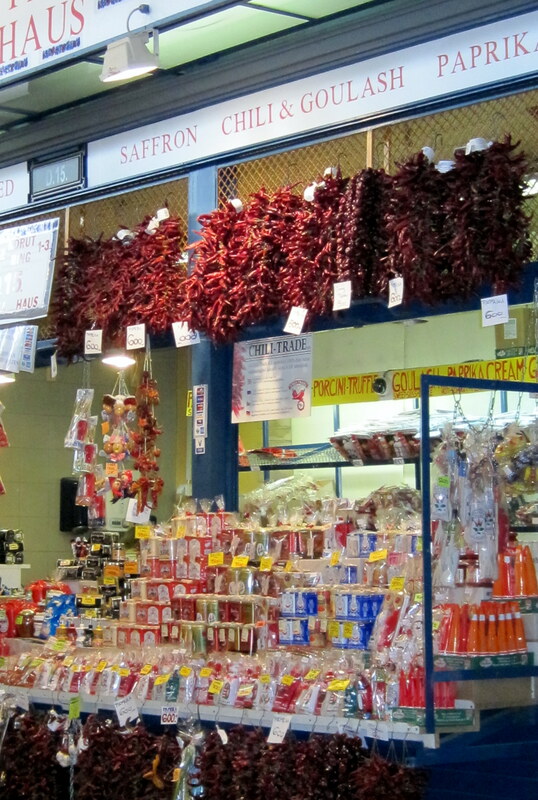 An extraordinary array of paprika products can be found at the Great Market Hall of Budapest where you could believe that you took a wrong turn and landed in Santa Fe when you see the hanging “ristras” of dried chilis. The paprika in lots of home kitchens should probably be relegated to the recycling bin, as most people stock only the bland type which gets stale when emancipated from the spice rack only on rare occasions when a little color is needed. 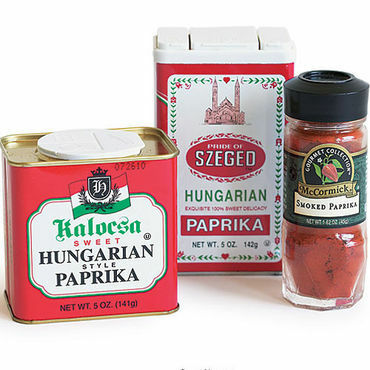 Better to seek out the real Hungarian paprika, now available in most supermarkets, and certainly via Penzey’s and other good spice merchants. Strong Steven is one of myMEGusta’s favorite condiments, discovered on café tables in Budapest the same way ketchup bottles are fixtures in the US, and impossible to find other than from Judi’s Univer Store (www.judisuniverstore.com) , a Hungarian food specialty mail order house. Smear it on a piece of fish, sprinkle on some panko and bake just until the fish is done for a super delicious, super simple main course. They also make a milder version for the faint of heart. Thanks for the info. about Judi’s Univer Store. 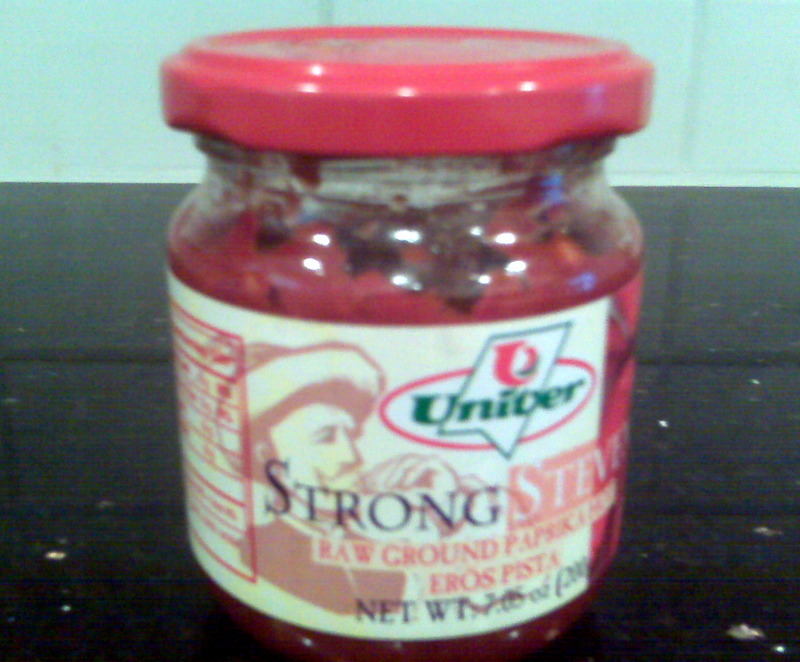 I assume Strong Steven is a paste? It’s actually more like a puree, and has some seeds. There are also lots of pastes available in tubes. Interesting posting. Loved the pics and references to Hungary. Thanks. I adore your blogs. They bring back memories of past travels and the joy of local food and drink in beautiful settings. Your story is well written as usual and as ex-neighbor of Hungary I am glad you are giving the spice the well deserved credit. It plays a big part in Viennese cooking – no surprise because the border is only 50 klm away. When I worked in Vienna we distinguished the different levels of spiciness. For the fun of it they are listed below. Stay well and keep writing stories. Hard to admit, but I forget about paprika except when making chili or garnishing deviled eggs. You’ve piqued my tastebuds and now I want to purchase exquisite, but on the mild-side paprika for fish. I grilled Tilapia last night and although I had well seasoned it, I think a few dashes of paprika would have added just the right touch.